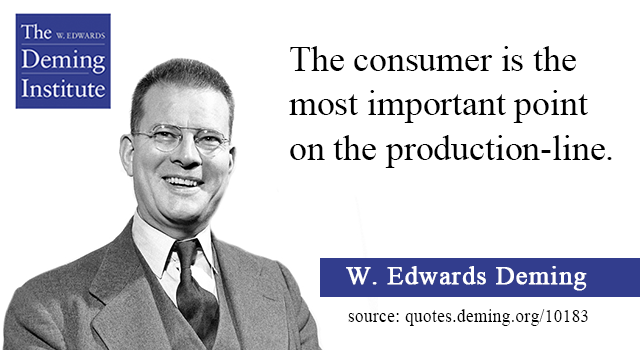 The consumer is the most important point on the production-line. 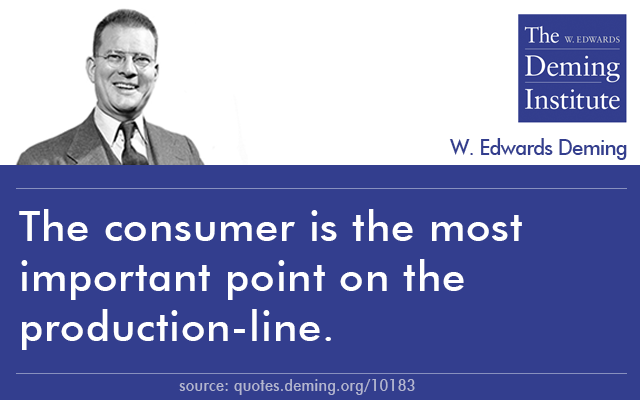 Speech by W. Edwards Deming, “New Principles in Administration for Quality and Efficiency” (in Manila, Philippines, July 2, 1971). 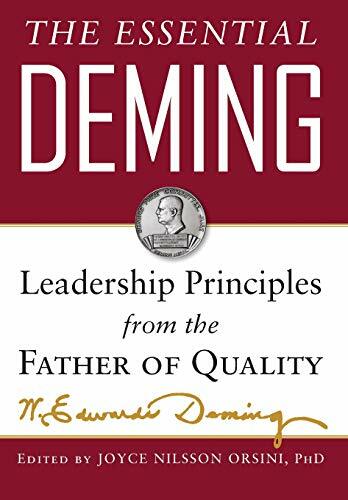 Reprinted in The Essential Deming, pages 176-178.